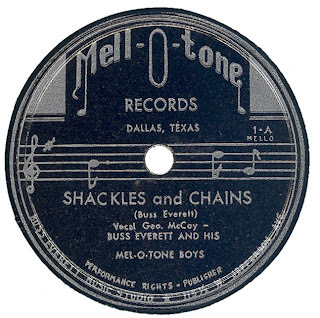 Note: “Shackles And Chains” is the Jimmie Davis song! Could I Ever Be Happy Again (1002.B) (Vocal – Buss Everett & Geo. 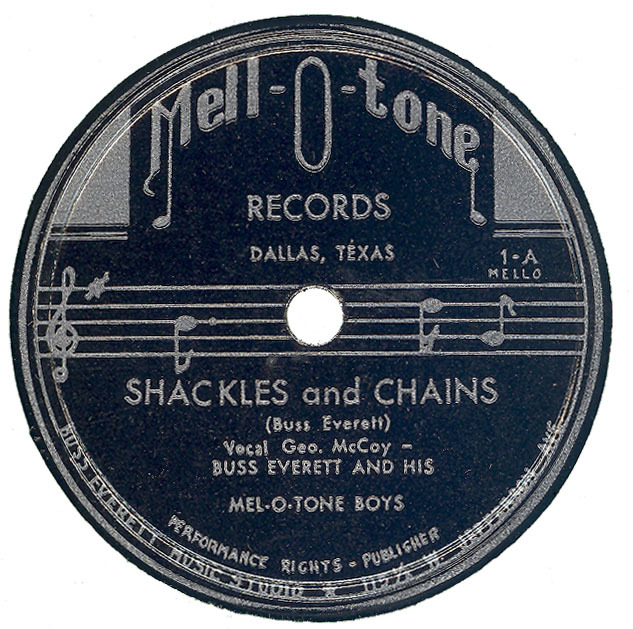 Note: MELL-O-TONE 1003 is a Research Craft Pressing. Hear "The Hazy Hills Of California"
Thank you for your comments Clint; Do you have a photo of your Great Uncle that we could post here?